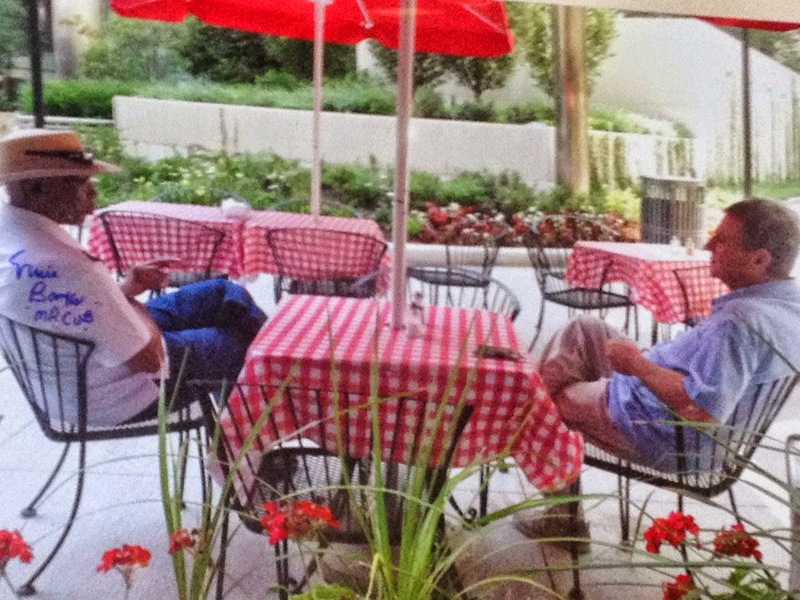 During Social Media Week Chicago I stumbled upon this great little Italian Restaurant and Deli behind Trump Tower next to the Chicago River, Bongiorno's Chicago. I soon discovered that this quaint little Italian eatery was a favorite lunch spot of Ernie Banks. One day I stopped by the restaurant to meet with Tom Bongiorno the owner about catering a travel meetup event. 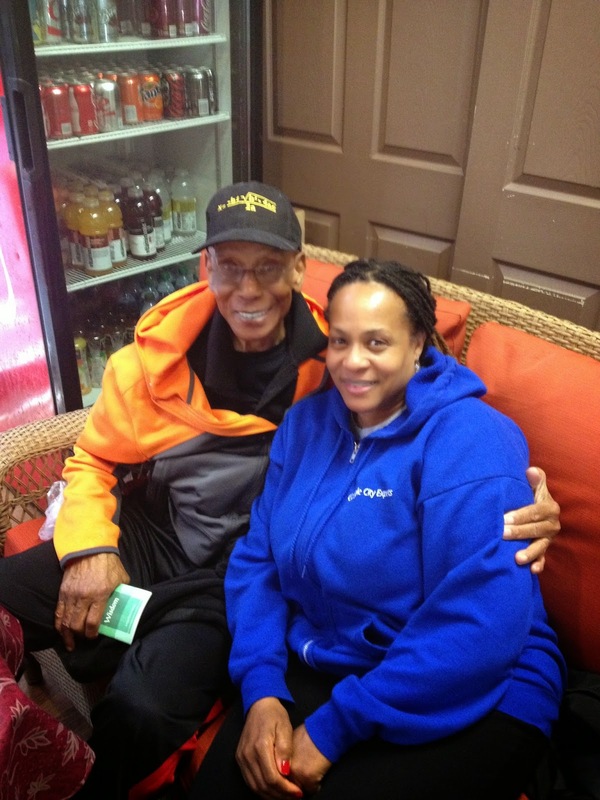 May 2014, I walked into Bongiorno's Deli, I spotted Ernie Banks sitting on a sofa in a corner of the restaurant. I could hardly contain myself with excitement. Tom asked me if I knew who he was? I shook my head yes, as I could hardly speak. Tom asked me if I wanted to meet Ernie Banks. I quickly said yes. 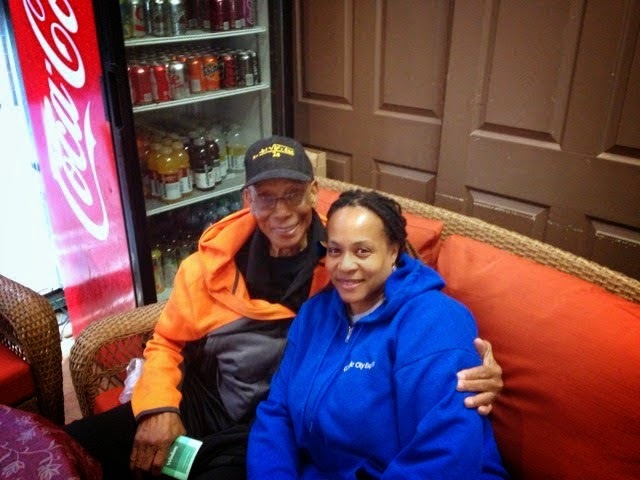 I sat down next to Mr. Ernie Banks on the sofa to take some photos. Then Ernie Banks began to share his stories with me. I remember Ernie Banks stating that he wanted to known for his philanthropy work and not his baseball career. He desire was that people remember him for being a humanitarian. Then Ernie Banks invited me to visit a prison with him. He shared that he visited prisons regularly. I declined because I did not feel comfortable going to a prison. I had these negative images floating around in my head. I just couldn't do it at the time. Now I regret having passed up the opportunity to accompany Ernie Banks on one of his prison visits. Ernie Banks took a genuine interest in my life, he encouraged me to call my ex-husband and tell him that I love him. Ernie Banks tried his best to convince me that I should reunite with my ex. We ended that conversation with I would think about. I laugh and smile to myself as I recall my visit with Ernie Banks. Yes, he was a humanitarian who spread joy to others. This is my remembrance of Ernie Banks.